Could dental implants change your perspective? While there are certainly some very real issues that we all need to face in life, the way that you approach the thing that are happening in your life can help to change the way you experience unexpected problems like health issues. If, for example, you have a missing tooth, you might feel a bit down about that and like you have lost an aspect of your experience that you cannot get back. In this kind of situation, it’s best to seek the support of a dental professional like Aura Dental. We can help to change your perspective by giving you options. 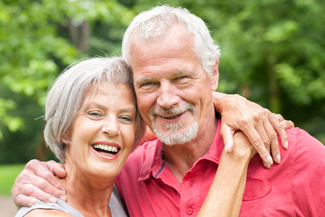 When you see what is possible, you may no longer feel troubled by your loss as you can look forward to restoration and enjoying a full dental experience again with dental implants in St John’s Wood. When it comes to a tooth replacement like dental implants in St John’s Wood, the team at Aura Dental can talk you through all the ways that they can help you smile again. It’s a method of tooth replacement that we are really happy to offer because of the positive benefits we see time and again with our patients. ‘Dental implant’ is the name given to the small, titanium insert that fits into your jawbone. This is eventually accepted and integrated into your bone where it is held very firmly in place. Using a prosthetic tooth attached to the top of your implant, you can chew normally again. It will appear to the casual onlooker as if it is just another one of your teeth. There is no chance of slippage or accidentally losing this tooth replacement method. Once it is in place, all you need to do is take good care of your teeth and gums and visit us at Aura Dental on a regular basis so that we can keep an eye on your work. If you want to know if dental implants in St John’s Wood are a good fit for your smile, you can book a consultation today. There are few patients who cannot benefit from some form of dental implant, even if a little preparatory work is required before we get going. This entry was posted in Dental implants on 25th January, 2019 by Aura Dental.